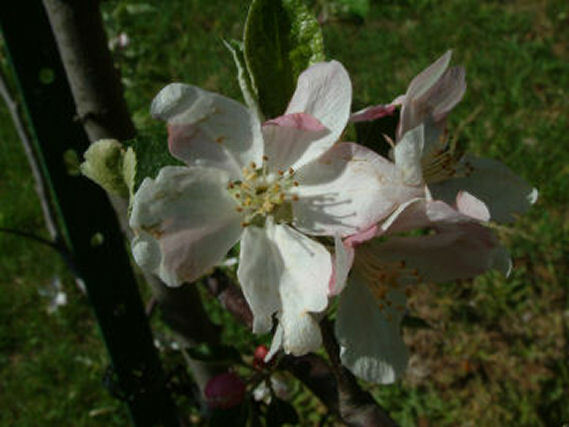 Often confused with the southern apple, Red Detroit, the Detroit Red is an old variety introduced by early French homesteaders into the Detroit, Michigan area. 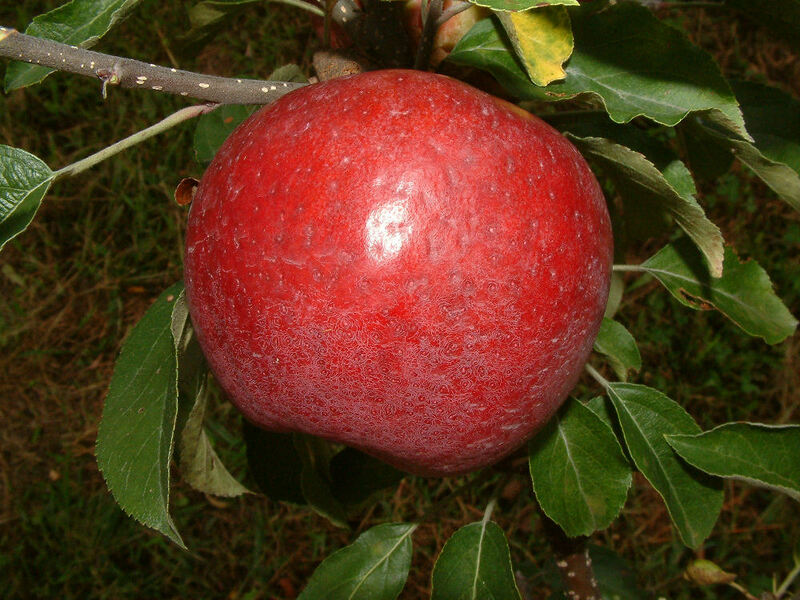 It is a large apple with a lot of variability in color, ranging from bright red to almost black. One can find well-groomed trees of this variety growing today at Thomas Jefferson’s estate, Monticello, which he planted in 1805. Fruit is large in size, oblate in form with distinct ribbing. The thick, tough skin is dark crimson in color, overlaid with purplish-red which darkens considerably as the apple ripens. The white flesh is coarse, juicy and aromatic with occasional red staining under the skin. Ripens September in most areas.